Welcome to Part 4 of the Mailserver setup guide. 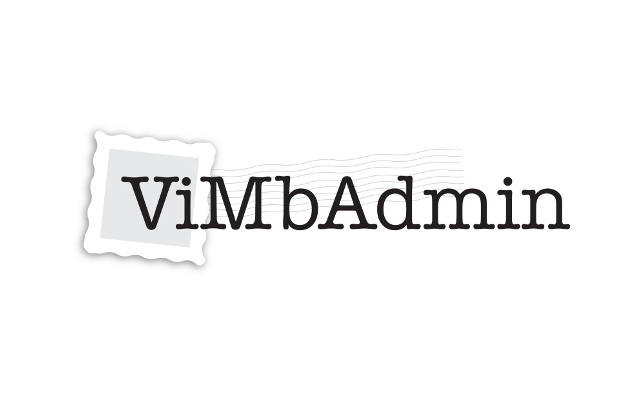 In this part we are going to be installing and configuring ViMbAdmin (vim-be-admin) to manage users and mailboxes, as well as the domains our mailserver will service. You can find more information about ViMbAdmin on their website here. If you missed the previous parts you can find them here: Part 1 – Server Configuration, Part 2 – Postfix Configuration, Part 3 – PostgreSQL Configuration. ViMbAdmin is installed, now we need to tell Apache to serve the files. For security reasons, I like to move the management page off the standard HTTP and HTTPS ports. We are still going to be using HTTPS to host the page but lets put it on port 7025. Earlier I had you install Apache, and mod_ssl (for serving HTTPS pages) so lets configure those. Configure Apache to listen on our new port and setup the new Virtual Host. Copy and past the following into the new file you just opened: Be sure to modify the ServerName and the certificate names. Notice we are re-using the same certificates we used for Postfix, if you need to look up these names you can find them in “/etc/postfix/certs”. I like to restrict access to port 7025 to specific IP spaces that I will be managing the mailserver from to harden security a bit more. Use the following rule to restrict access from a specific IP. You can add more than one of these lines for each IP that you might be managing the server from: Replace x.x.x.x with your IP address. Update your keys accordingly, then move on to creating a Super Administrator user. The email address you use doesn’t necessarily have to be an active email address yet, just don’t loose the password you use to create the account. After creating the account you can login, and should see an empty list of domains configured on your server, you can click the “+” I circled in red on the image below to add a domain. Using ViMbAdmin shouldn’t be too hard to figure out after playing with it for awhile, one thing to remember is if you want to forward email, you need to use an Alias. While we have a way to manage the database now, it doesn’t do us much good if Postfix doesn’t look to the database for the mailbox configuration information. We need to configure Postfix to use PostgreSQL. To do that we are going to create some files telling Postfix how to read from the database. For all of the next files we create, remember to replace “password” with your password for the mailreader user we just created. Now we have created files telling Postfix how to get information out of the database we created with ViMbAdmin, we just need to tell Postfix to use them. To tell Postfix where the files are, we need to edit “main.cf” again. We covered a lot of configuration in this section, but now Postfix should be using the PostgreSQL database for virtual domain and user mappings. We also configured a Web Interface (ViMbAdmin) to manage the database Postfix reads from. In the next section we will install Spam and Virus filters using SpamAssassin and ClamAV. Or you can Continue to Part 5 where we configure mail filters.